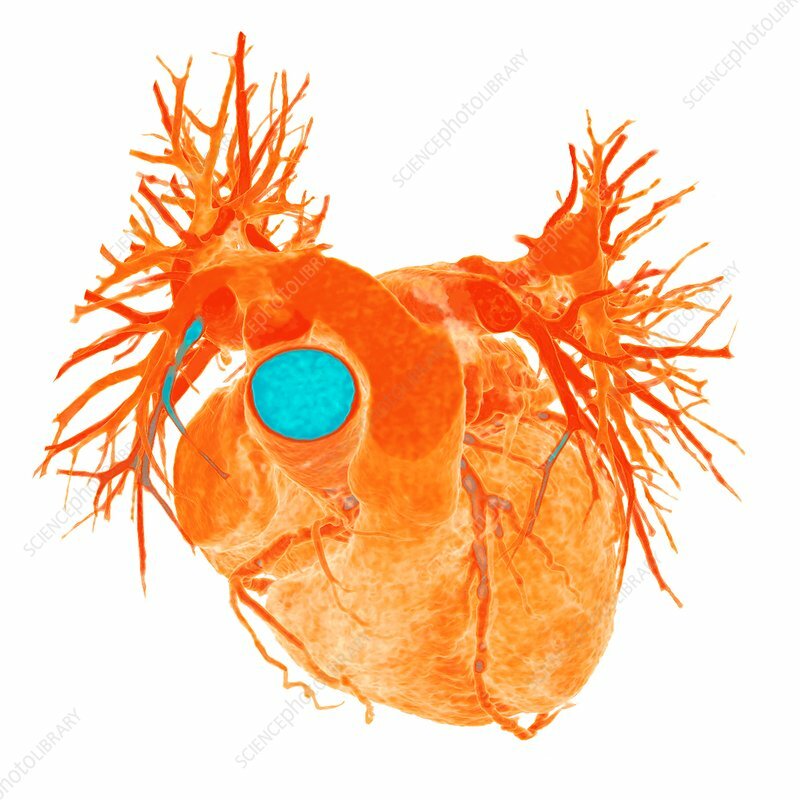 Heart with coronary artery disease, 3D coloured computed tomography (CT) scan. Coronary artery disease (CAD) is a condition affecting the coronary arteries that supply blood to the heart muscle. If these arteries become blocked or narrowed, this can cause a heart attack (myocardial infarction).